The United States will impose further sanctions on Russia and will target Russia's defense industry. The United States will impose further sanctions on Russia on Monday over the crisis in Ukraine and they will include high-tech exports to Russia's defense industry, a White House official said on Sunday, according to Reuters. White House deputy national security adviser Tony Blinken said the sanctions are designed to punish Russia for not living up to an agreement to de-escalate the situation in eastern Ukraine, where armed pro-Russian separatists have taken control of about a dozen government buildings. "We're going to save a little news for Monday but what I can tell you is this," Blinken was quoted as having said on CBS's "Face the Nation" program. "We will be looking to designate people who are in his inner circle, who have a significant impact on the Russian economy. We'll be looking to designate companies that they and other inner circle people control. We'll be looking at taking steps, as well, with regard to high-technology exports to their defense industry. All of this together is going to have an impact," he added, but did not elaborate. 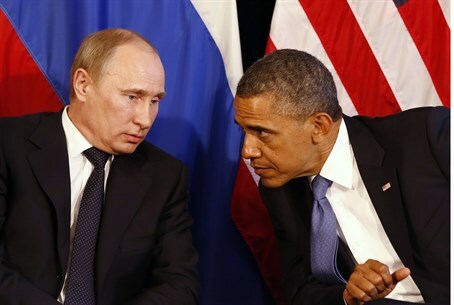 On Friday, the United States announced its intention to impose further sanctions on Russia. Treasury Secretary Jack Lew warned at the time that the next round of sanctions against Moscow will put more pain on the Russian economy. "We are working with our international partners to make sure that when we do it, we do it in an effective way," he said. The leaders of the Group of Seven major economies agreed on Saturday to impose further sanctions on Russia over the Ukraine crisis. The European Union is also expected to announce sanctions as early as Monday targeting individuals and companies, according to Reuters. Washington is more hawkish on further sanctions than Brussels, and this has caused a degree of impatience among some U.S. officials with the European response. U.S. Secretary of State John Kerry threatened Russia with more sanctions on Thursday, after disturbing reports surfaced that the bodies of two Ukrainian men - one a parliamentarian - had been found, mutilated and presumably tortured, near Slaviansk. The United States and the EU have already responded to Russia’s actions in Ukraine by imposing personal sanctions against Russian and Crimean officials involved in the seizure of the peninsula. Russian President Vladimir Putin, however, has remained unfazed by EU and U.S. economic sanctions, and has responded by drafting his own sanctions on top American senators.